All the arrangements of our package was excellent and we just enjoy our holiday in Turkey. Thanks. 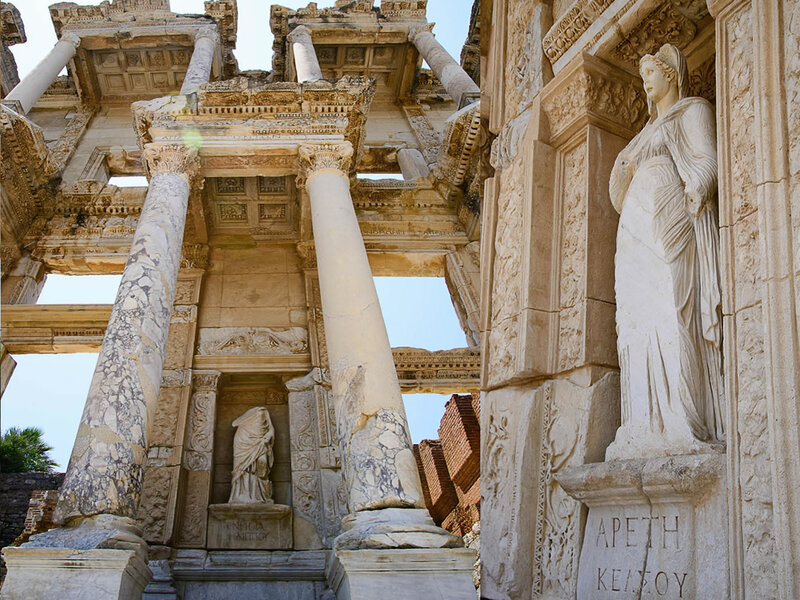 Wonders Of Turkey: the wonders of Turkey is a 9 Day Turkey tour package which covers the world Heritage Sites which are in Istanbul, Cappadocia, Ephesus, Pamukkale and Izmir. 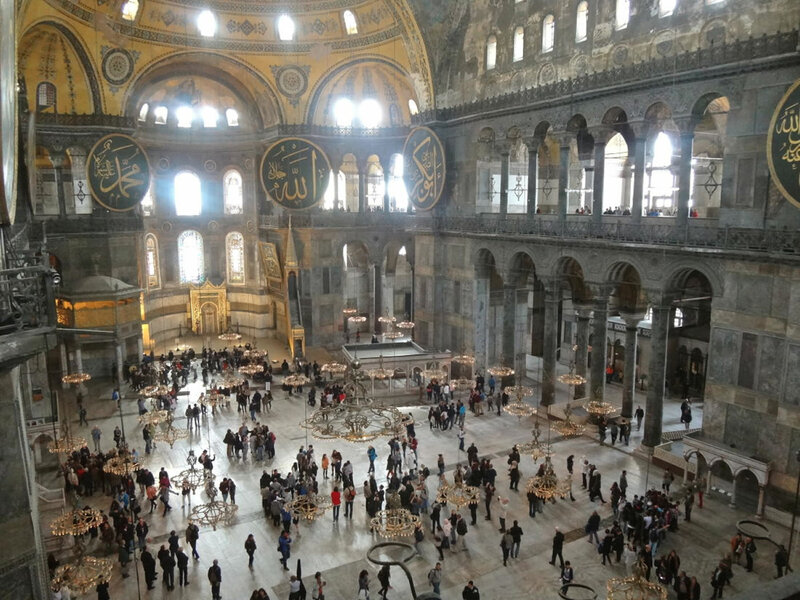 Visiting: covers the monuments, museum, mosque and the ruins in Istanbul as follow, St. Sophia, Blue Mosque, Hippodrome, Topkapi Palace, Grand Bazaar. Visiting: the Walking in the Byzantine City Walls, Spice Bazaar, Bosphorus Boat Cruise, Camlica Hill, Asian Side of Istanbul. Visiting: the Hierapolis, Necropolis, Roman Baths, Domitian Gate, Latrina, Oil Factory, Frontinious Street, Agora, Byzantium Gate, Triton Fountain, Cathedral, Apollon Temple, Plutonium, Theater, Calcium Terraces, Mineral Water Swimming Pool. It is a leisure and relaxing day in Kusadasi. Transfer to Airport Fly to Cappadocia. Arrival and transfer to hotel. 16:00 pm Transfer to Izmir airport. 19:00 pm Fly to Cappadocia. 20:00 pm Arrival and transfer to hotel. 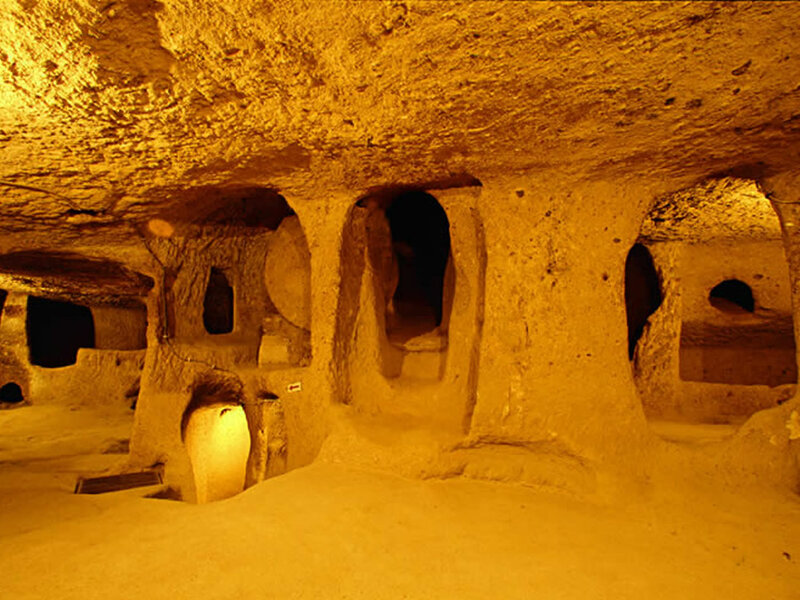 - 2 Nights Hotel Accommodation in Cappadocia. - Lunches during the tours in a local restaurants. - Arrival and Departure international airport tarnsfers in Istanbul. - Arrival and Departure Domistic airport tarnsfers in Istanbul. - Arrival Domistic airport tarnsfers in Denizli. - Departure Domistic airport tarnsfers in Izmir. - Arrival and Departure Domistic airport tarnsfers in Cappadocia. 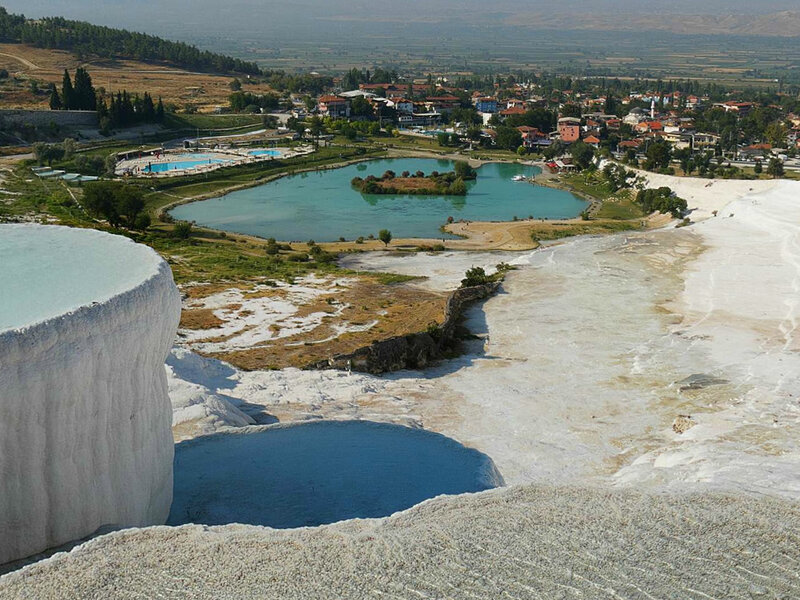 - Flight Ticket from Istanbul to Denizli. 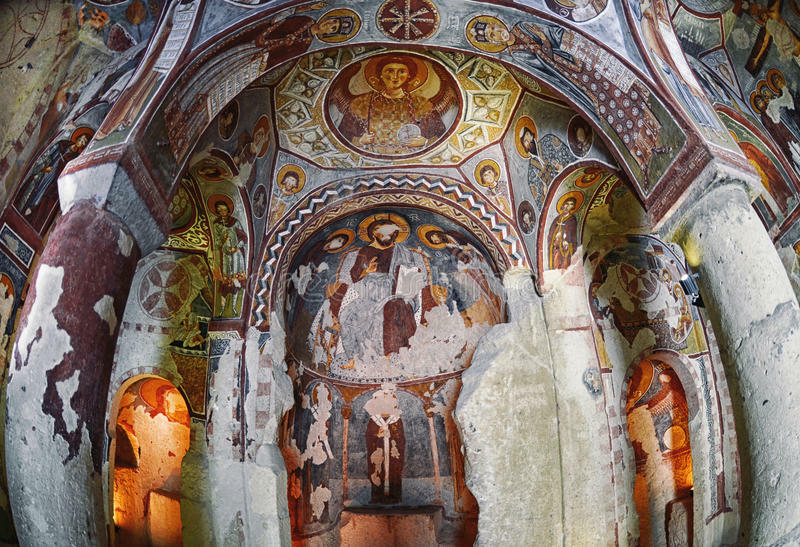 - Flight Ticket from Izmir to Cappadocia. 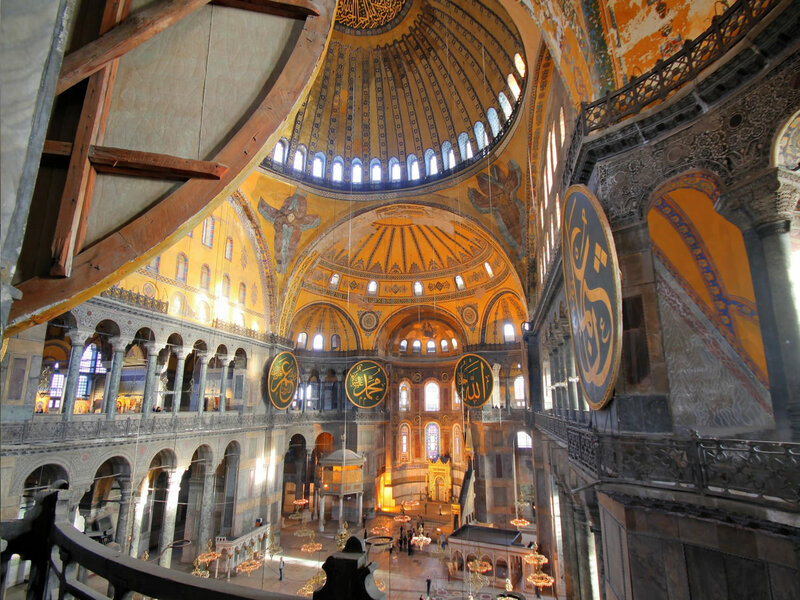 You may choose the hotels according to the each town you will stay during the 9 Day Wonders Of Turkey. Istanbul. : 4* Orka Royal Hotel, Dosso Dossi Old City Hotel, Antik Hotel, Grand Oztanık, Taksim Faros Hotel. During the Wonders of Turkey, there are sites to visit by walking and not recommended for the people who has difficulties with walking. It was my first time in Turkey and wanted to visit the most important sites. After some e-mail to mr. senol who helped us to organize our great tour in Turkey, we decided to join to the 9 Day Wonders Of Turkey Tour which was included Istanbul, Cappadocia, Ephesus, Pamukkale. All the places worth to visit and the most important sites to visit if it is first time. We have got great experiences about the history, nature, meals, local, muslim culture and more in the public. Turkish people are friendly and helpful. Thanks to everyone. Our tour was well planned and arranged well. It was seamless. We were well taken care off. Itinerary was great. I would highly recommend this tour. Must for people who want to see early Christian life for piligrimage. Lot of unique natural wonders to be seen. Satisfying for history buffs and food lovers. Me and my family we had the wonders of turkey tour package, was great, it is enjoyable and cultural tour included history and nature. Thanks to our tour guides, they gave us great time and experiences in each site. All the best.